Beautifully maintained 4 bedroom , 2.5 bathroom house. Sunny and bright second floor great room. Lush landscaping with sunny pool and sunken hot tub. Air- conditioned. Great location- Close to town and close to the beach. Welcome to your summer. This perfect house can be yours. Open living room with a wall of glass opening onto the covered deck with the heated pool just beyond�all surrounded with lush landscaping. Gourmet kitchen with top of the line appliances. Two bedrooms upstairs share a full bath. First floor bedroom with trundle bed can be used as a den. Second full bath. Private setting. 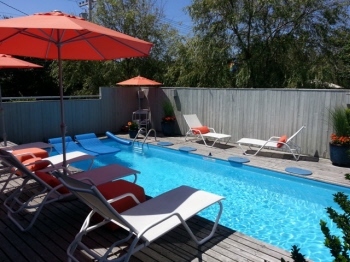 Modern 4 bedroom 2 bath with sunny pool, roof deck and all new renovations. Great living space and 4 spacious bedrooms. Air conditioned! Large and lovely on the Bay. This wonderful two story modern house is available for rent. This spacious houses boasts tow living rooms. 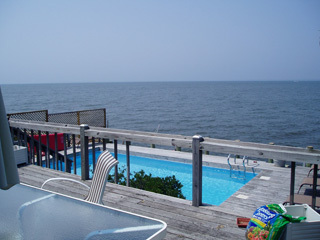 One on the second floor with panoramic bay views and a second poolside, perfect for entertaining. Four large bedrooms with full baths. Fireplace. 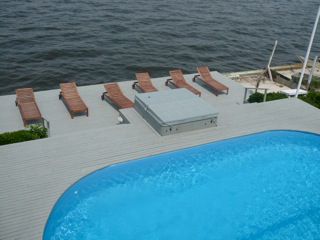 Great bay front all- day sun pool decks complete with hot tub. Fantastic sunsets from everywhere. Spacious house on the bay! House has a huge living room with high ceilings and a great flow between the living room and the pool area. 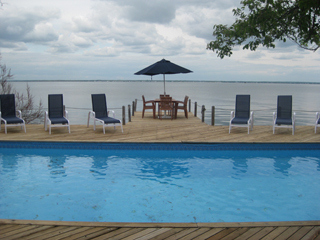 Pool is perfectly set overlooking the bay. 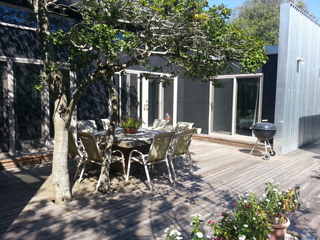 You will get great sunsets, has a wonderful dining area both in and out. Four large bedrooms and three baths. The splendor of the bay. Newly renovated three bedroom 2 bath lovely cottage. 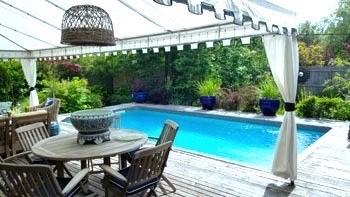 Spectacular location with large sunny pool and great out door space and a long season. All new furnishings, newly renovated kitchen, new appliances. SEE THIS!